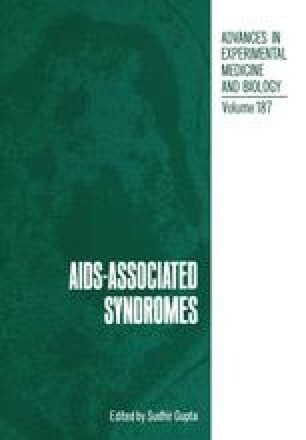 Since February, 1981, a cohort of 42 homosexual or bisexual men with persistent generalized lymphadenopathy (PGL) has been followed longitudinally at the Beth Israel Medical Center (BIMC), with periodic clinical, virologic and immunologic evaluations. We defined the syndrome of PGL in homosexual and bisexual men (1,2) by the presence of: a) lymph nodes of greater than 1 cm size, of more than 3 months duration, involving at least 2 extrainguinal anotomic sites; b) absence of symptomatic infection at the onset of lymphadenopathy; c) absence of an apparent etiology such as history of intravenous drug abuse, dilantin therapy, recent immunization, skin rash or evidence of neoplastic disease, and d) absence of unexplained weight loss, diarrhea, thrush or evidence of other opportunistic infections or cancers. A detailed description of the epidemiologic, clinical and laboratory findings of this group has been previously reported (3).